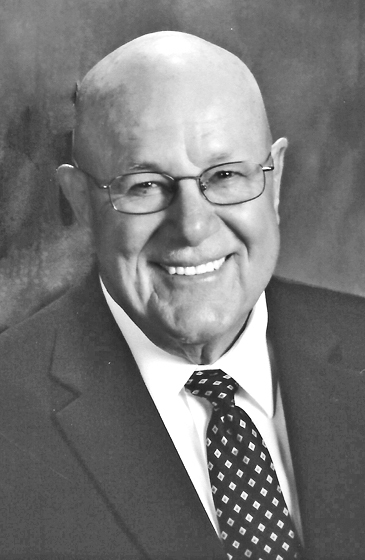 AMASA, MI – Marvin L. Hill, 78, returned to our Lord on Sunday, January 31, 2019 at Froedert Hospital in Milwaukee after experiencing complications following brain surgery on January 25th. He resided on Maki Road in Amasa, Michigan with his wife Beverly, who died on September 26, 2018. They returned to the U.P. after living in California and Illinois to spend their very active retirement enjoying country living. Marvin was born August 16, 1940 in Pelkie, Michigan to Leonard and Sylvia (Eilola) Hill. He was a graduate of Ishpeming High School, Class of 1958 and was with his classmates to celebrate their 60th reunion last July. He joined the U.S. Navy in 1958 and retired in 1977 with a Rank of Petty Officer First Class where he served as an Interior Communications Electrician specializing in gyros. Between 1961 and 1977 he served on the USS Wasp, the USS Kitty Hawk where he is a plank holder, the USS Proteus, the Destroyer John Paul Jones, the USS John S. McCain and the USS Fox. He was trained in Polaris missiles and missile repair on submarines. In 1971 he returned to Great Lakes for gyro compass training and was a technician on the USS John S. McCain. While in the military, he traveled to various parts of the world including the Mediterranean, the Philippines, the Congo in South Africa, Cuba, and the North Atlantic. He was also stationed at several bases state side. After retiring from the military, he worked as a technical rep for Sperry Rand Systems in San Diego, California, where he continued to work on gyro compasses around the world. In 1985 he and Beverly made their home in Lake Forest, Illinois, where Marvin was employed by the Larson Marine Boat Yard for 18 years, continuing his work on compass systems. Marvin and Beverly were married in 1971 in Waukegan, Illinois. They lived in San Diego, moved to Illinois in 1985, and eventually returned to the U.P. in 2003. Marvin is survived by a daughter, Dawn Marie Waxon (Richard Reyes) of San Diego, CA, a sister, Susan (Darryll) Sundberg of Ishpeming, MI, brother-in-law, Roger Segerson of Westminster, CO, a niece, Lindsay (Matt) Saner of Las Vegas, NV, two nephews, Ryan (Emily) Sundberg of Boynton Beach, FL and Derek Sundberg of Orlando, FL. He is also survived by great nieces and nephews, several cousins and many special friends. Marvin was preceded in death by his parents, Leonard and Sylvia Hill, his loving wife of 47 years Beverly, along with several aunts, uncles and cousins. Marvin was a member of Bethany Lutheran Church of Amasa, serving in many leadership capacities. He was a VFW Commander for Post 2891 as well as a District 15 Commander. He also served for 6 years as VFW Commander for Post 8741 in Libertyville, IL. Marvin was a Leader and Coach of the Iron County Sharpshooters 4-H Club from 2006 to the time of his death. He took his team to Grand Island, Nebraska for 4-H Nationals and to the State Tournaments since 2009. Marvin was a member of American Legion Post 87, Whitetails Unlimited, and the United Sportsman’s Club. He enjoyed spending two weeks at deer camp and feeding his “special backyard” friends. Marvin was truly a “people person” and loved to visit over a cup of coffee. He loved people young and old and he was blessed with a passion for serving others. He served our country in the US Navy, served his fellow veterans by providing military honors at funerals, served his fellow veterans at the VA Hospital on Wednesdays, playing cards with the guys and bringing them treats. He served the youth of Iron County through 4-H, teaching them skills with commitment and a competitive spirit. He served his Lord and his Bethany congregation in Amasa as lector, singer and greeter. He loved his country, his county and his church and all his special friends and neighbors. He was so happy to be back in God’s country. Visitation will be at Bethany Lutheran Church in Amasa on Friday, February 8th from 9:30 a.m. to 10:45 a.m. Military honors will be accorded at 10:45 a.m., and the funeral service will be celebrated at 11:00 a.m. with Bishop Emeritus Thomas Skrenes, Rev. Micheal Laakko and Rev. Dave Johnson, presiding. A luncheon will follow at the church. Those wishing to make expressions of sympathy, please consider donations to Bethany Lutheran Church of Amasa, East Side Veterans Council, or Iron County Sharpshooters 4-H. Marvin would say “get up early, be on time, live life to the fullest and enjoy”. The family has entrusted the Nash Funeral Home and Cremation Services of Crystal Falls with the arrangements.